"The Lost Dream" is a pure fiction inspired by true current events. The movie covers actual hardships faced by many skilled professionals as well as American businesses needing their services while trying to get a visa to enter the United States. Directed by Renato Asuncion with Joe Barcelone as 'Trent', the president of a heavy weight IT American company and Naz Khan as their lawyer 'Sarah', The Lost Dream revolves around the gripping and exciting story of the break of the American dream. 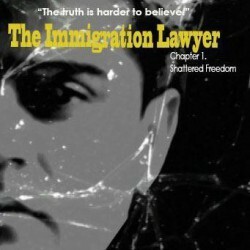 Shah Peerally Productions Inc., in this movie is trying to make a difference in American Immigration history by uncovering the human face behind the non --immigrant visa applications. This film is their effort to showcase the increasing lack of transparency in the system that denies work visas to those trying legally to make a living in America by honest means. 3. How the immigration system is a labyrinth which only experienced immigration lawyers can navigate and ignorance of the trade might result in a tragedy. The story depicts an American company which goes through a nightmare because the key person behind the strategic technical support of the firm could not enter the United States on time. The fact that many Americans associated with this firm lost their jobs due to this incident is one of the factors that make this a sensational story.